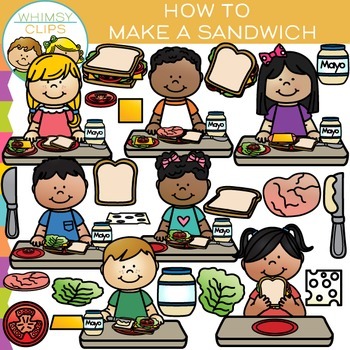 How to Make a Sandwich clip art set that is great for sequencing activities. 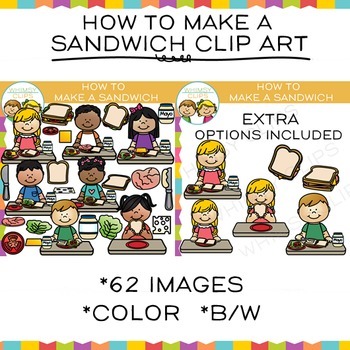 This fun sequencing clip art set contains 62 image files, which includes 31 color images and 31black & white images in png. 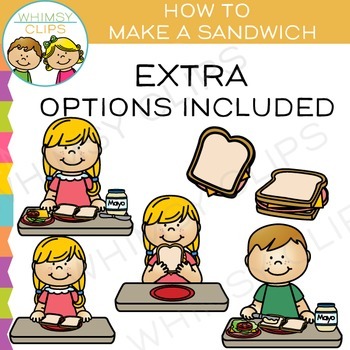 This set is packed with many options to allow you to customize a sequencing project specific to your needs. Each image in this set is 300dpi.